Day-Zone is a pure html template created with bootstrap html css js framework. You can use this template to create your own social network. 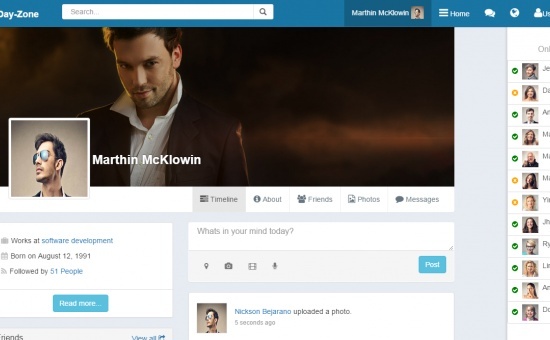 This Social Network Template presents many features required by any Social Network website.